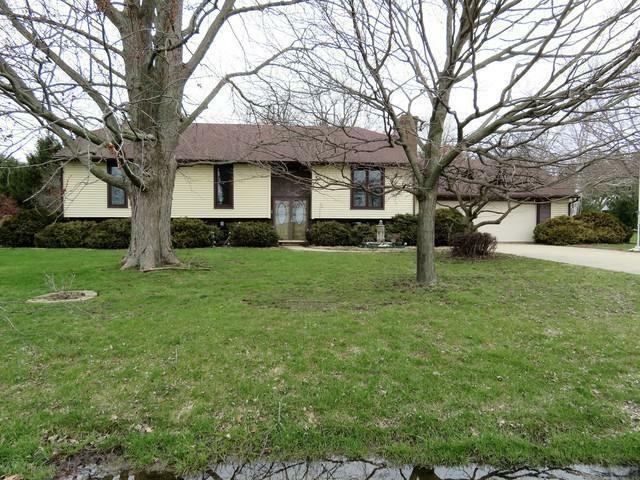 A little slice of the country and just minutes from Champaign and Mahomet. This 4 bedroom home sits on .82 acres with mature trees, a 2 car attached garage, an over-sized 2.5 car detached garage and a large fenced in patio area. Great for relaxing or entertaining family and friends. The inside has been freshly painted and new carpet on the main level. The formal living room has a wood burning fireplace and it's adjacent to the formal dining room. The kitchen has plenty of storage and work space. There is a pass through to the formal dining room and an eating area. The heated Sun-room has lots of windows to let the light in and a wood burning stove for those cold winter nights. There are three bedrooms and 2 full baths on the main level. The lower level features the family room with a wood burning fireplace, large storage room, office, and a 4th bedroom. The bonus area could be used for a hobby room, workout room, play room etc... There is a backup propane generator. Come take a look!